When I was growing up, Lent was not my favorite season of the church year. I learned to expect that during Lent, church would be extra boring, with lots of slow music filled with verse after verse of suffering, pain and death. The statue of Jesus that was at the altar of our tiny, country church, reflected every verse of those Lenten hymns. I could see the sharp crown of thorns, the blood drops dripping from the gash at Jesus side, on his hands and feet and even on his brow. Glory be to Jesus, Who in bitter pains; Poured for me the lifeblood, From his sacred veins. Grace and life eternal, In that blood I find; Blest be his compassion, Infinitely kind. 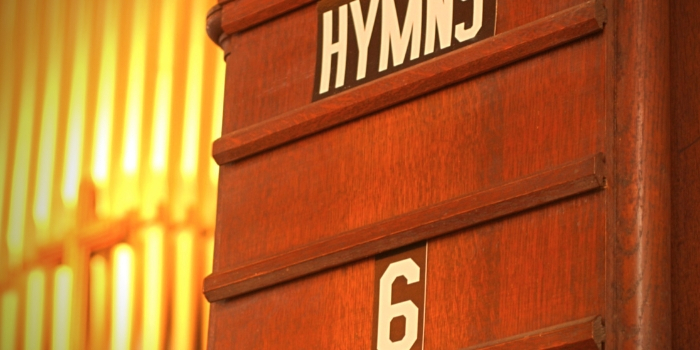 As a child, I didn’t really understand everything those hymns encompassed. The language was over my head and I took better to learning four-part harmony through repetitive singing, rather than asking questions or opening a dictionary to explore those lyrics. When I go back and read those hymns again, I can now see the common thread of compassion that Jesus held for His people. Fountain in life’s desert dreary, Savior from the world above. Oh, how oft your eyes, offended, Gaze upon a sinner’s fall! By looking to Jesus as the perfect model of compassionate living, we can strive to do better. To move away from judgment. To practice stepping into others shoes. To give people an unconditional break. During Lent, it is good to remember that Jesus knows and understands all struggles and is with us as we try to love deeply, grow spiritually and share abundantly. May our hearts be burning with more fervent love for you! May our eyes be ever turning to behold your cross anew! Julie Anderson is a member of Sheridan’s Devotion Writing Team. 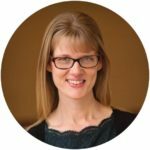 She works part-time as Sheridan’s Children’s Music Coordinator where she is passionate about teaching children to use their musical gifts to praise God. Julie is married to Scott and counts her greatest honor as being mom to Adrienne, Eliot and Elise.